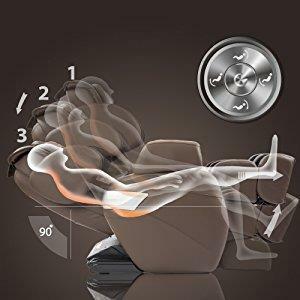 When you have the intension to purchase a massage chair, it's a good thing to first do your orientations on those chairs and know what to look for. We hope to contribute positively in this process. First of all you should know for yourself, for what purposes you want a massage chair. Whole body massage/relaxation or just for certain parts, and what massage technique you prefer. There are various massage techniques that can be done by it. Shiatsu/Kneading focusses on your body's pressure points through massage rolls from the center of the spine outward. Feels like hands rubbing your back while relieving stress and easing your back muscles. 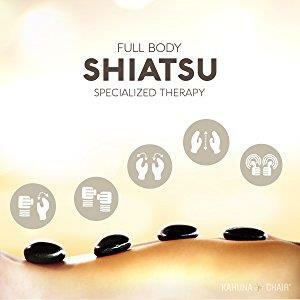 If you always feel tired or fatigued you might now experience rejuvenation after experiencing a Shiatsu chair massage. Or when you have poor circulation, you'll restore proper blood flow to your muscles and joints. Or when injured during hiking or running you might recover real well with a Shiatsu massage. a massage technique that's quite suitable after exercises. Rolling - included in some higher-end chairs - is a massage through rollers going up and down alongside your spine, while stretching the spiral bones and muscles. It comes close to human touch massage. for a deeper relaxation experience when you lay down with chair reclining 160 to 180 degrees. Especially if sitting is painful or difficult for you or when suffering from sciatica. Zero Gravity relaxation, with feet position just over the level of your heart, for maximum circulation and comfort of the spine. It gives you a weightless, stress-free and energizing feeling. It is comparable with the position astronauts sit before take-off. 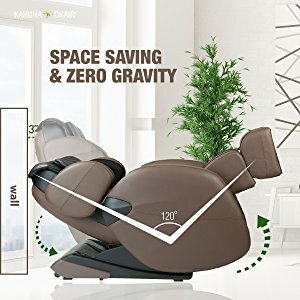 The zero gravity position of the massage chair is also quite suitable for people suffering from chronic pain. It spreads your weight all across, so helping your body experiencing a thorough relieve. Pre-set Stretch programs - Ottoman going up and down - are very much in favor by massage chair users. Air massage is deep tissue massage therapy for muscles and underlying tissue. It gives you a really good feeling in body parts such as shoulders, arms, waist, feet, achilles tendons and calves. Massage chair manufacturers with a good reputation, offer at least two year limited warranty. I would say, the longer the warranty period, the better the chair quality. Also read the fine print about the return policy. The most following massage chairs (randomly chosen) feature a 3-years warranty on franework. There are differences though in the details. 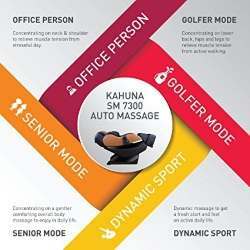 Here's more on mentioned massage chairs. 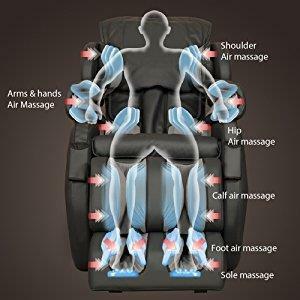 - Investing in a massage chair should be free from risks and therefore you're probably best off with a quality product from companies and/or resellers with a good reputation. Check product and customer service testimonials and reviews. User Body Height, Weight, Girth. Body Height - Be sure to know the recommended height and weight limit of the massage chair you want to purchase. Body Weight - Common body weight limit of massage chairs have is 265 to 285 lbs. Some chairs go up to 350 lbs. Body Girth - This is of paricular importance with chairs equipped with airbags, If you're broad-chested or broad-shouldered, or have a large hip area. Leg length vs Torso length - This is also something to keep in mind. Size of chair vs space in your home or business - Mind that massage chairs are space-consuming and heavy, especially when the chair is in a reclined position. You may have you chair say 13 to 16 inches from the wall. There are also chairs equipped with a sliding base, so you can have the chair near the wall. You'll find here popular and well-rated massage chairs.